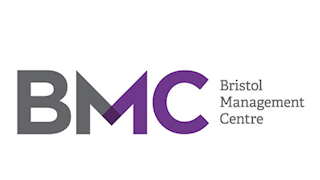 At our Bristol Management Centre (BMC) we create learning and development opportunities for individuals as they seek personal and career progression, and for corporate clients wishing to induct, train and develop staff members, through learning experiences which are engaging, relevant and rewarding. Our courses are accredited by CMI, APMG, Axelos and APM and our trainers constantly deliver to the highest standards: they also work in the fields in which they teach and they’re passionate about bringing our courses to life. We cover a wide range of management training courses including Project Management (PRINCE2®, APM PMQ formerly known as APMP, AgilePM®), Programme Management (MSP®), Change Management as well as courses such as Better Business Cases™ and Management of Risk (M_o_R®). Learning and Development allows you to learn new skills, sharpen existing ones, improve performance, increase productivity and be a better leader. Since your organisation is the sum total of what you and your colleagues achieve individually, your training will enable your business to meet its goals, provide you with a fantastic working environment and a better future.